Making it through cancer treatment and coming out cancer-free is a liberating experience. It’s hard work, it’s physically and emotionally draining, but when it’s all behind you and the cancer is gone, all the hard times were well worth it. Although it might seem like beating cancer would create feelings of joy and accomplishment, it often leads to depression and feelings of loneliness during the recovery period. When it comes to beating cancer, the treatment is only part of the struggle—recovery and getting used to life after sickness is difficult for countless survivors. People recovering from cancer treatment often feel alone and isolated. This leads to increased depression, stress, and anxiety that make the recovery process as difficult, if not more, than the treatment itself. It’s a big adjustment that is rarely easy. Loneliness plays a major role in a person’s ability to recover from cancer. 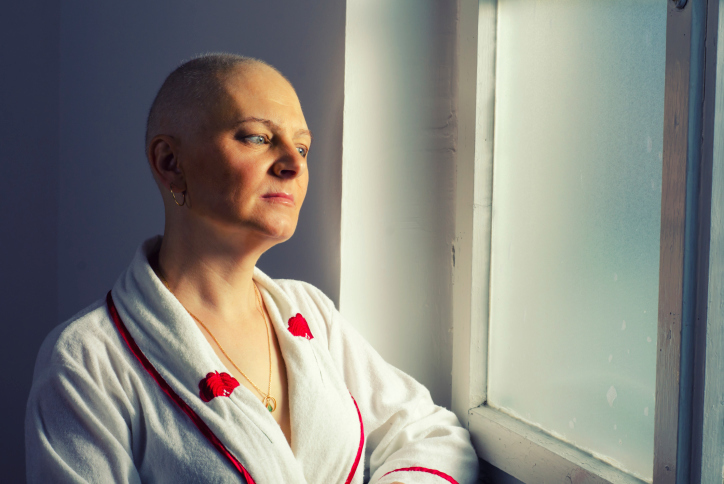 In the immediate weeks or months following treatment, cancer survivors often feel vulnerable to relapse, unable to relate to people who can’t identify with their feelings or experiences, and very alone and isolated from the outside world. These feelings can hold the person back from making a full recovery and the isolation can make things worse. As a result, they may not leave the house, eat properly, or get enough exercise, which can stall or prolong the recovery process. In addition, self-esteem might be low because the cancer treatment may have altered the patient’s physical appearance. They may have noticed a change in their skin color, lost a lot of weight, lost their hair, and aren’t necessarily comfortable being around others. This is completely normal—cancer treatment is a very difficult process and patients should have some time to grieve. After a grieving period, however, it’s important to remember that beating cancer means they are a stronger person. The cancer may have left some battle scars, but ultimately the patient defeated it and they should take some pride in that fact. If you’re recovering from cancer and are feeling isolated and lonely, there are avenues that can help. Contact your local chapter of the American Cancer Society for a list of support groups in your area. Attendees of these groups are cancer survivors who will be able to relate to your feelings and experiences in ways friends and family can’t. There are also online message boards to discuss feelings and get support if you’re unable to attend meetings, but in my opinion, if you can get out to a meeting, do so. It’s really the best option. Beating cancer is nothing to be ashamed of, but it does cause major changes in your life. The treatment routine is gone and patients find themselves with more time on their hands. A British study learned that one in five cancer survivors suffers from loneliness following treatment, so it’s not uncommon. It’s important that, after the initial grieving process, you acknowledge your strength and start living your life again. Set a routine, make plans, and work towards achieving your goals and living a fulfilling post-cancer life. “Cancer Survivors: Managing your emotions after cancer treatment,” Mayo Clinic web site, October 11, 2011; http://www.mayoclinic.org/diseases-conditions/cancer/in-depth/cancer-survivor/art-20047129, last accessed February 26, 2014. “‘Clear Evidence’ loneliness affects recovery of cancer patients,” BBC News web site, February 21, 2013; http://www.bbc.com/news/health-26285643, last accessed February 26, 2014.